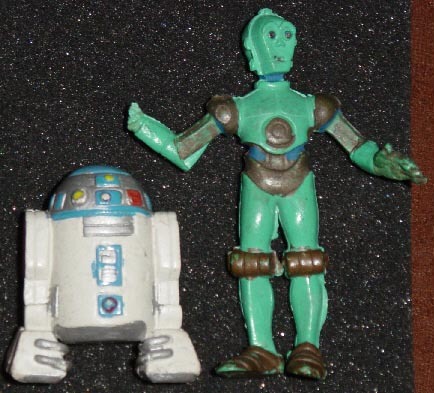 What we have here are a bootlegs of the unarticulated Droids/Star Tours C-3PO and R2-D2 figures. These particular ones came from a collector in Poland though I've seen similar ones come out of Germany. Both lack any copyright information. From the collection of: Tomasz K.